The process of transfers of pollen grains from anthers to the stigma of a flower, but when this process is between the flowers of the same plant than the term is called as self-pollination, while when the transfers are between the flowers of the different plant of same species is called as cross-pollination. Secondly, pure line progeny is obtained in the self-pollination. The target of every living organisms is to create their young ones and transfer their characters to them. Pollination is also the same process occurring in plants, where the reproduction and fertilization are processed in the flowers, which further produce seeds. When pollens gets transferred between the flowers, seeds are produced which contains the genetic information of a plant and is capable of producing offspring. In general sense, we say that in pollination the pollen grains are then transferred from the anther of a flower to the stigma. 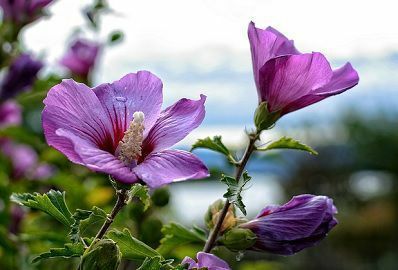 If we observe the flower of any plant, like China rose, we will see different parts like sepals, petals, stigma, style, anther, filaments, stamens, pistil, pedicel, thalamus, ovary and ovules. Anther and filaments are said as the male reproductive parts of a flower, while pistil which has the stigma, style and ovary are mentioned as the female reproductive parts of a flower. The term pollination gains its attraction when Gregor Mendel successfully cross-pollinated the garden-peas. 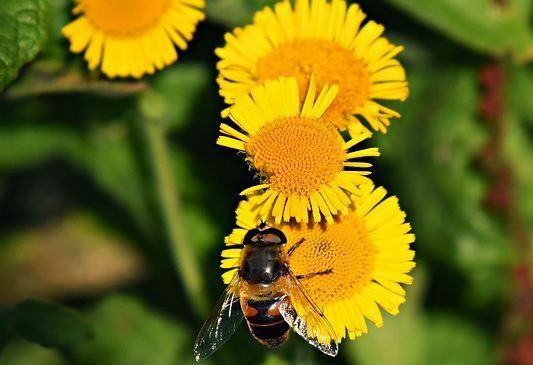 There are the different method of pollination which depends on the type of plants like in angiosperms it takes place between the flowers of the same plants (self-pollination), while in gymnosperms it occurs between two different plants with same or different species (cross-pollination). In this content, we will be studying the two primary type of pollination and the ground points on which they can be distinguished. The inbreeding process in plants where pollens are transferred from the anthers to the stigma of the same flowers or another flower but of the same plant. The outbreeding process between the two plants of the same species and different flowers. Two different plants of the same species. Self-pollination occurs in genetically same plants. Cross-pollination occurs in genetically different plants of the same species. External pollinating agents There are no requirements of the pollinating agents. External pollinating agents are required like water, animals, wind and insects. Self-pollination occurs in perfect flowers only. It occurs in both imperfect and perfect flowers. These plants have small flowers. These types have the scent, nectar and bright-coloured petals. Pollen grains Less number of pollen grains are produced. A large number of pollen grains are produced. Reproduction Geitonogamy and autogamy are the two types of the process of reproduction. Allogamy kind of reproduction occurs here. Genetic variability With the self-pollination, pure line progeny is obtained and so no role in genetic variations. With the cross-pollination, genetic variations and genetic recombinations are observed. Desirable characters can be obtained, but undesirable character cannot be eliminated. Desirable characters can be obtained and undesirable character can be removed. Offspring It results in homozygous offspring. It results in heterozygous offspring. Examples Wheat, rice, pea, orchids, barley, tomatoes, peaches, apricot. Mulberry, maize, pumpkins, strawberries, blackberries, plums, grapes, daffodils, maple, catkins, grasses. When a flower of a plant has the capability to produce a seed by pollinating itself and do not need another flower or when the pollination occurs within the flowers of the same plant is called as self-pollination. Monoecious species and the hermaphrodites are mainly known for self-pollinating. The flowers of plants which perform the self-pollination have the male and female reproductive part in the same flower. It is the simple method and does not need any investment, here the pollens get assemble in the anther (male reproductive part), and transferred to the stigma (female reproductive part) of a flower and thus the process of fertilization is accomplished. Autogamy is the process when the flower reproduces within itself, in this, the pollens are transferred from male to the female part of the flower, while Geitonogamy is little different and occurs in different flowers of the same plant. Cleistogamy is the process where flower does get opens and gets pollinated. The advantage of self-pollination is that the plant does not need any agent like wind, insects to get fertilized, this method even does not require any extra investment. Though genetic variation is absent and thus the same product is obtained all time. When flower of a plant gets pollinates with another flower of another plant, it is called as cross-pollination. This process is performed artificially also, to get the new and good quality of flowers, fruits, and vegetables. In this, the two old varieties produce a new variety. For example, a cross between two varieties of mangoes just to get a new good yield. So in cross-pollination genetic variation and genetic recombination is seen. Cross-pollination is not possible for between entirely different species, like for example tomato cannot be pollinated with the potato or onion, but one variety of tomato can be crossed with another species of tomato. Self-pollination is the inbreeding process occurring in between two flowers of the same plants, in this pollens are transferred from the anthers to the stigma. Cross-pollination is the outbreeding process between the two plants of the same species and of different flowers, in this also the pollens are transfers from the anthers to the stigma. In self-pollination, there is the involvement of the single plant, while in cross-pollination two different plants of same species, though genetically distinct are involved. External pollinating agents are not required in the self-pollination, but on the contrary, external pollinating agents like water, animals, wind, and insects are required. Self-pollination occurs in perfect flowers only, and the plants have small flowers, while cross-pollination occurs in both imperfect and perfect flowers, and the flowers of the plants have the scent, nectar and bright-colored petals. Pollen grains produced are less in number in self-pollination, whereas large numbers of pollens are produced in the cross-pollination. Geitonogamy and autogamy are the two types of the process of reproduction occur in self-pollination, while allogamy kind of reproduction occurs in cross-pollination. Genetic variability is not observed in the, and pure line progeny is obtained, while in cross-pollination, genetic variations and genetic recombinations are observed. Self-pollination results in homozygous offspring, whereas cross-pollination results in heterozygous offspring. Desirable characters can be obtained, but the undesirable character cannot be eliminated in case of self-pollination, while in cross-pollination desirable characters can be obtained and undesirable character can be removed. Few examples of the plants which follow the process of self-pollination are wheat, rice, pea, orchids, barley, tomatoes, peaches, apricot, while mulberry, maize, pumpkins, strawberries, blackberries, plums, grapes, daffodils, maple, catkins, grasses are examples of the cross-pollination. We can summarise the article by saying that we came to know about the types of reproduction and fertilization that occur in planta and are of two types. Self-pollination is equally important as cross-pollination, and are used to increase the yield and varieties of crops. As sometimes we need the same range of plants every time, and sometimes modifications are also required and also it is the need for the plants to get cross-pollinated.